Aspire Bifolds. The complete solution in home improvements. Whatever your property, tastes and requirements we work with you to add value, security, comfort and style to your home. Where many other home improvement companies choose only to offer a limited range of products, Aspire provide the best selling and most trusted windows and doors in the UK, designed to meet the requirements of any home. We provide industry leading brands such as Origin, Atlas, Smart Systems, AluK, Liniar and Endurance. Our product range also includes some of the most advanced windows and doors you can buy in terms of design, quality and manufacturing. Residence 9 and the latest Alufold bifolding door are two such products giving customers an entirely different proposition in latest generation, windows and doors. Owner run and managed, Aspire Bifolds shed any negative perception of home improvements. Your first contact with our company will be with one of the Directors. We believe the person you speak to should be a decision maker and be able to answer your questions instantly, confidently and with knowledge. No salesmen, no ‘consultants’, no ‘advisors. All these are terms for a double glazing salesman employed to sell. We don’t employ them and we don’t use them. The right answer from the right person. You will be dealing with experienced people that are expert in our products, the industry, surveying and installation. Whatever your question, our Senior members of staff are your first point of contact. Industry leading products. Our entire range is designed to provide you with peace of mind. We provide only the very best products in terms of design, specification, performance and long service life. Most come with a 20 year warranty. A Personal Service. We believe in working with you and being beside you throughout your home improvement project. Whether you are replacing your old windows or renovating your home you are assured of communication, reliability and a first class service. The best prices. As a smaller business we have far less overheads than the larger organisations. Our reputation enables us to enjoy excellent purchasing power with our supplies. We pass these savings onto you directly. The finest quality home improvements at the very best prices. Our clients are our recommendation which is why they are happy to have our customers visit our installations to see for themselves the quality of our work. There are no expensive showroom overheads, and we buy directly from the manufacturer. 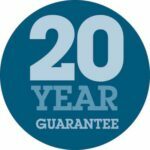 This means you can buy the same premium quality bifolding door, replacement window or sliding door at lower prices, with no compromise on quality or expertise. Put us to the test and let us provide a quotation. Our prices are also realistic and lower because salesman and consultants are there purely to earn a commission or fee from you the end user. Fees are typically built into the price you pay. The price you pay from Aspire is honest, transparent and clear from the start. We do not operate a “price matching” or “we beat any quote” way of doing business. Put us to the test and let Aspire quote you. Our installers are highly trained having worked on some of the most demanding home improvement products. Their skill in installing your new windows and doors is first-class and you will be delighted with the end result. 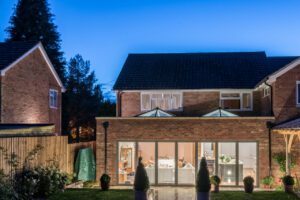 If you are thinking about improving your home, building a new extension or fitting a new folding or sliding door, contact us today for a personal service, knowledge and expertise. We look forward to working with you and improving your home.